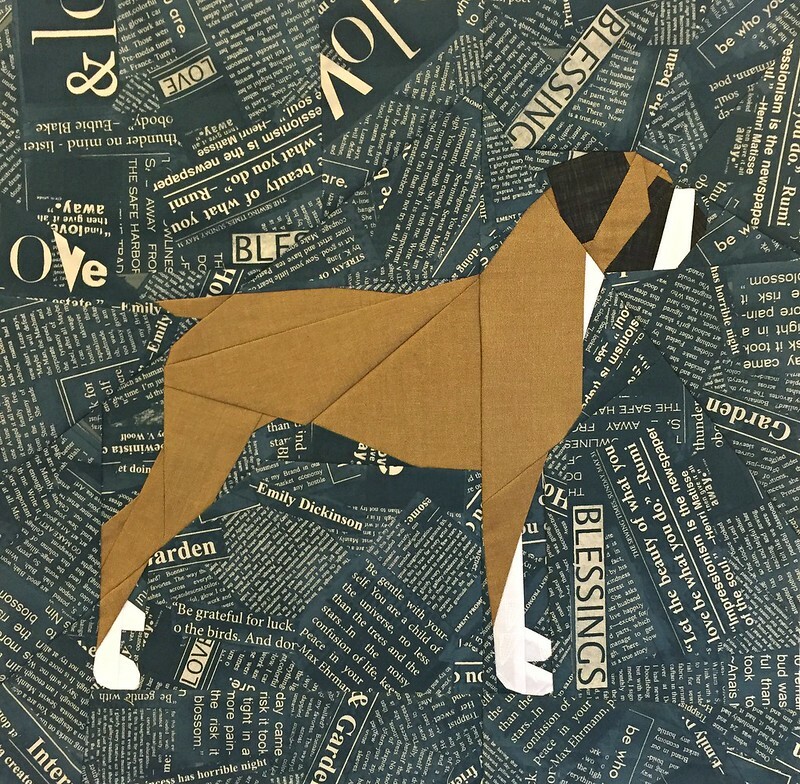 If you follow me on Instagram, you've already seen these, but it's too cute not to share on the blog as well :) When I first received my copy of Love Patchwork & Quilting's issue 37, I saw this awesome boxer dog mini quilt designed by Juliet (The Tartankiwi) and just had to make one, pronto! 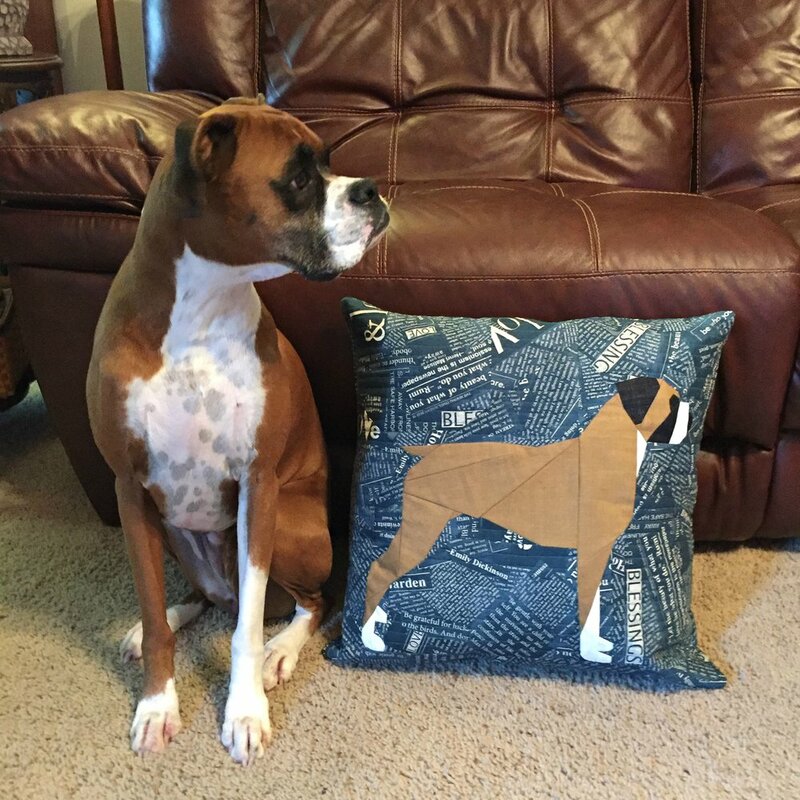 I made some tweaks to Juliet's pattern so that it would match our sweet boxer girl, Polly. 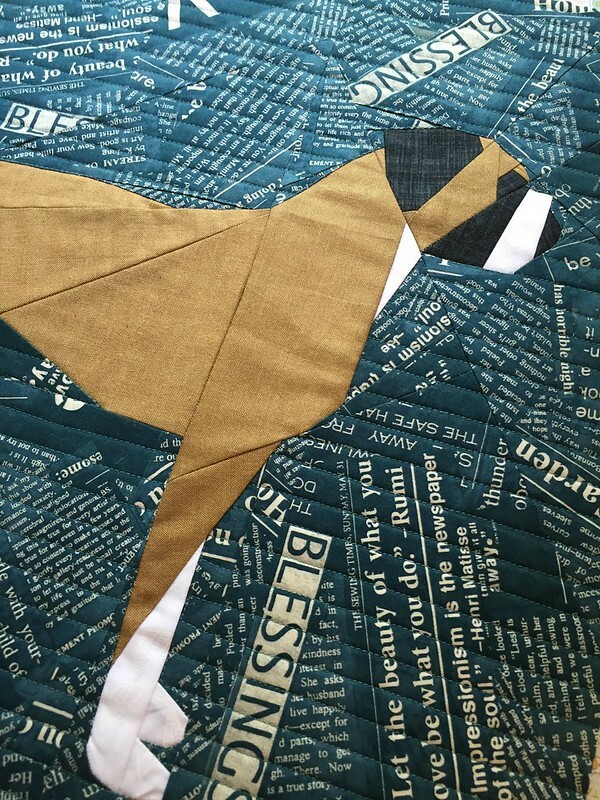 I LOVE the background fabric against the brown. It makes a great contrast. 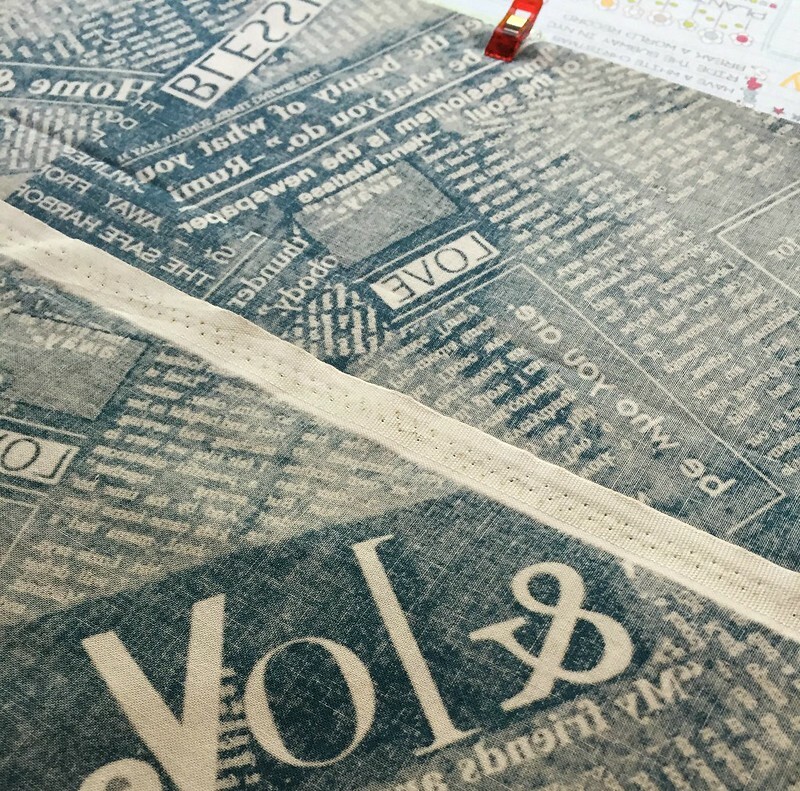 The background fabric is the newspaper print by Carrie Bloomston. For the quilting, I kept it simple and only quilted the background fabric with straight lines every 1/2". Once it was quilted, I decided to do a simple envelope back on the pillow. And as you can see below, I even cheated a bit and just used the selvage edge for the inside flap of the envelope :) Works for me (and the dog!). 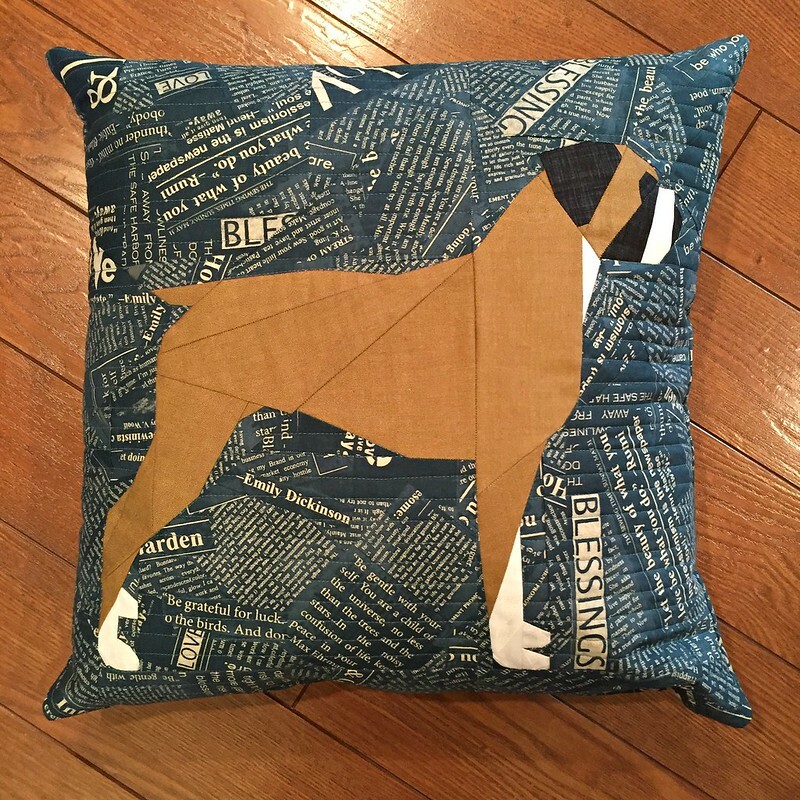 The quilt pattern finishes at 20" square, which thankfully is a standard pillow form size. And now this pillow is being well loved and used by Polly and the rest of the family.